Vassy Kapelos is the host of Power & Politics, based in Ottawa. 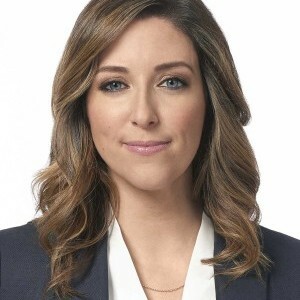 Prior to working at CBC, she was Ottawa bureau chief and host of The West Block on Global News. While covering federal politics, Vassy interviewed everyone from Prime Minister Justin Trudeau to NATO Secretary General Jens Stoltenberg. She’s covered and anchored multiple elections - both federal and provincial. Vassy has also reported on stories and events all over the world, from places like Rio de Janeiro, Iraq, South Korea and Japan, and reported on breaking news across Canada, including the fire in Slave Lake, floods in Manitoba and the shooting on Parliament Hill. Before working in Ottawa, Vassy covered provincial politics in Alberta and Saskatchewan. She is the recipient of an Edward R. Murrow award for her work on a series called Code Red, which exposed the shortcomings of Edmonton’s emergency response system. Vassy was also part of a team that won an RTNDA Award for the documentary “16X9: Wives of ISIS”, which took an in-depth look at how young girls living in Canada are lured to Syria and Iraq to join ISIS. During her downtime, Vassy loves to bake, read, avoid exercise and spend time with family, friends and her PVR.